Oregon’s 2015 class of RB’s is shaping up to be one of the better groups to ever come through the state. I would consider Cameron Scarlett (6-2 205 So. 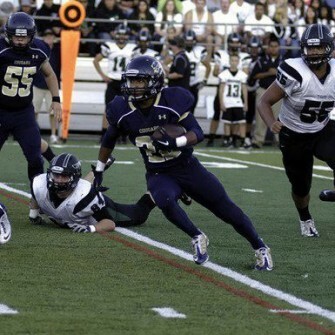 RB/LB) of Central Catholic the best back in the state of Oregon coming into his junior season. He is a big kid that can run and is equally impressive off the field. He is the brother of all-everything athlete and former Player of the Year Brennan Scarlett, now at CAL. Cam went for 11 TD’s and 800 all purpose yards last season. He is an outstanding track athlete and will be a state title contender in multiple events, with his father being an elite level trainer. Referencing next season Cameron says, ” Our goal is to win state and I know we have the talent to do so”. 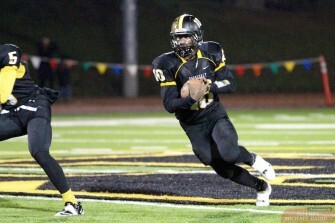 He continued, “Personally I want to go for over 1000 yards rushing and have somewhere between 15-20 Tds”. Scarlett added, “Right now I’m running track and mixing in some football workouts… Over the summer I will be going to CAL, Stanford, Washington, and Oregon State’s camps”. Central is loaded next season, and they have one of the best backs on the west coast to help lead them. 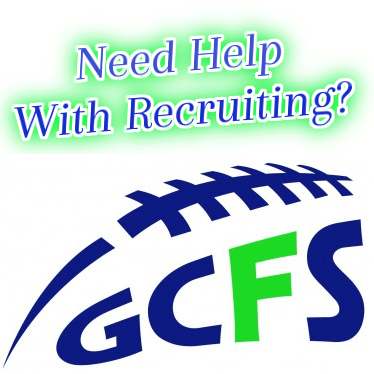 The only kid with an offer out of the group thus far is Billy Nelson (6-0 185 So.) from Roosevelt. He went for 806 yards on the ground as a sophomore, averaging 8.14 yards per carry with 6 rushing Tds. Nelson will team with one of the west coast’s most versatile sophomore quarterbacks in Kimane Domena, as the Roughriders could have their best team in school history. Billy is an outstanding overall athlete with size, and projects as a kid that could play multiple spots at the next level. The Vikings thought highly enough of him to offer early, over some other legit in state talent. Head coach Christian Swain says, “Billy is just a very strong runner and a kid that is capable of taking it to the house any time he gets the ball”. He added, “His ceiling is incredibly high as he recently ran a 11.0 flat hundred meters, and has never even been taught proper form”. All of this speaks as to why PSU offered when they did. Billy will split carries with top senior to be Damalia Spires next season, and should do very well moving forward. Morrison will be the next big time back for the Crusaders, as he stepped in last season doing a phenomenal job for the injured AJ Glass. Both Morrsion and Joey Alfieri ran wild against opponents showing that they were elite high school backs. Chase ended up earning 2nd team all league honors at DB, but torched opponents offensively when he was in. 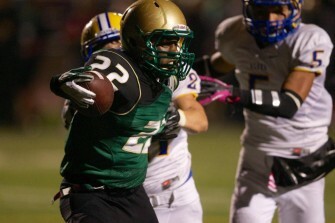 According to the Oregonian Morrison ended up with 572 rushing yards on 44 carries, with 11 Tds. Any time a kid scores 1 out of every 4 times he touches the ball you know he is doing something right. Chase averaged a ridiculous 13 yards per carry, to put the exclamation point on what was an incredible sophomore season. Future All American teammate Henry Mondeaux says, “He’s a great asset to the team, Ive never seen anyone juke and make cuts the way he does… Chase is crazy fast and a lockdown corner, but more importantly never makes any excuses and is always working to get better”. Last but not least is one of the most exciting athletes in the state in Devon Fortier (5-10 175 So. RB). He didn’t put up huge numbers last year, but Canby had numerous ball carriers and a very talented group of skill kids. Fortier averaged 7 yards a carry and scored 3 Tds, but its his upside that everyone raves about. One of the region’s top backers and current teammate Sam Bodine says, “Devon is really fast and explosive and at only 5-9 is close to dunking” . Sam added, “He has all the talent in the world and if he really puts his mind to it the sky’s the limit”. Fortier will team with super talented sidekick Jace Cates, who is equally skilled and ranks as one of Oregon’s top sophomores. Both are outstanding basketball players, but with size considered their future at the D1 level might be in football. 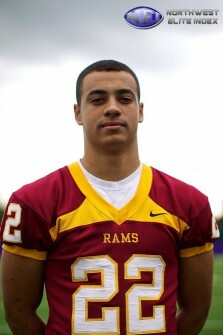 Canby will add in Dominic Shorter, who had a monster junior year going for over 1000 all purpose yards. The Cougars will have one of the most athletic backfields in the state and a top 10 ranking coming into the season.